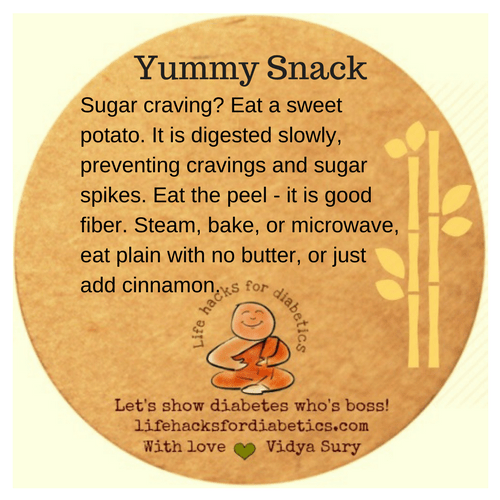 Sugar craving? Eat a sweet potato. It is digested slowly preventing cravings and sugar spikes. Eat the peel as it is good fiber. Steam, Bake, or microwave plain with no butter, just add cinnamon.